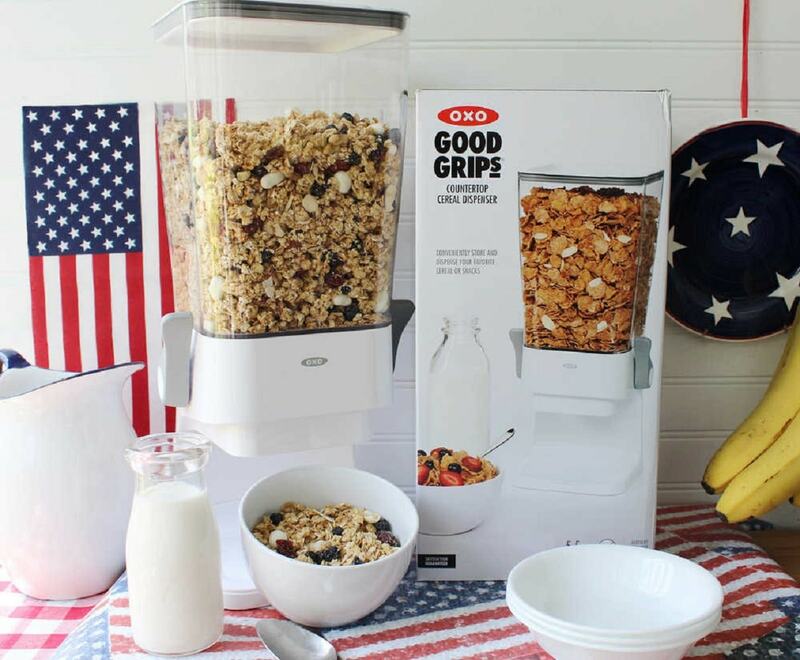 Keep your cereals properly stored and easily accessible with the OXO Good Grips Countertop Cereal Dispenser. 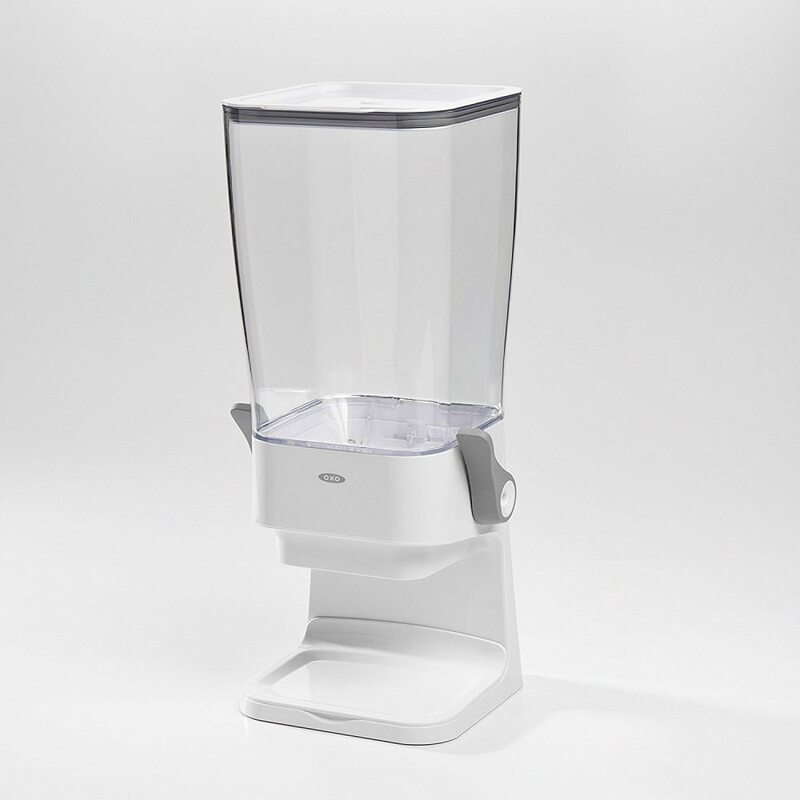 It holds upto 5.5 Quarts of cereals and has a chute-design opening so as to prevent the cereals from crushing when you dispense them. 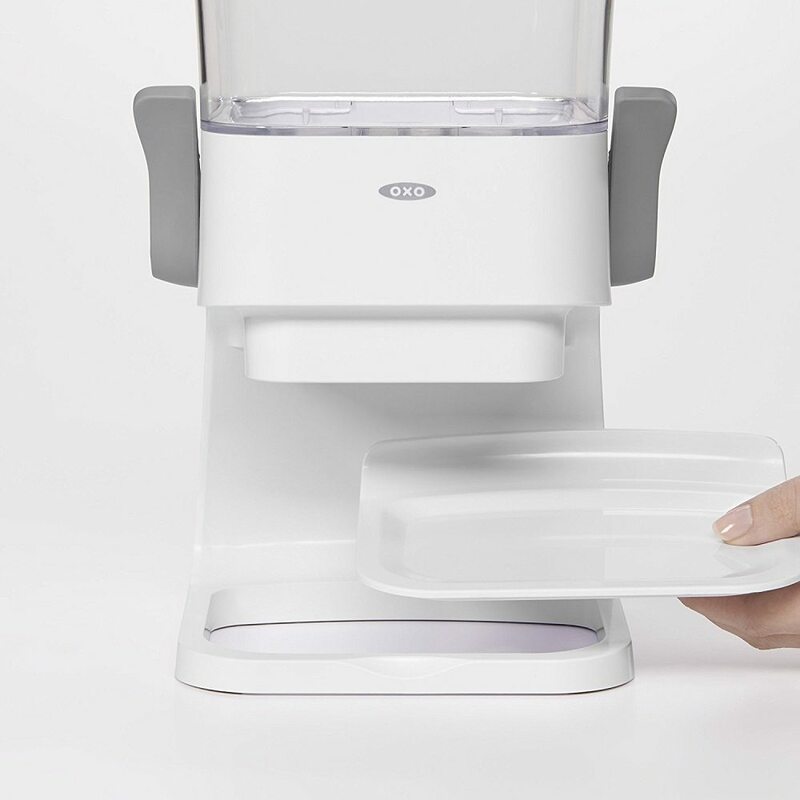 The spring loaded, non-slip levers ensure one-handed dispensing while the Two silicone seals on canister lid and inside dispenser keeps the cereals fresh and crunchy inside. 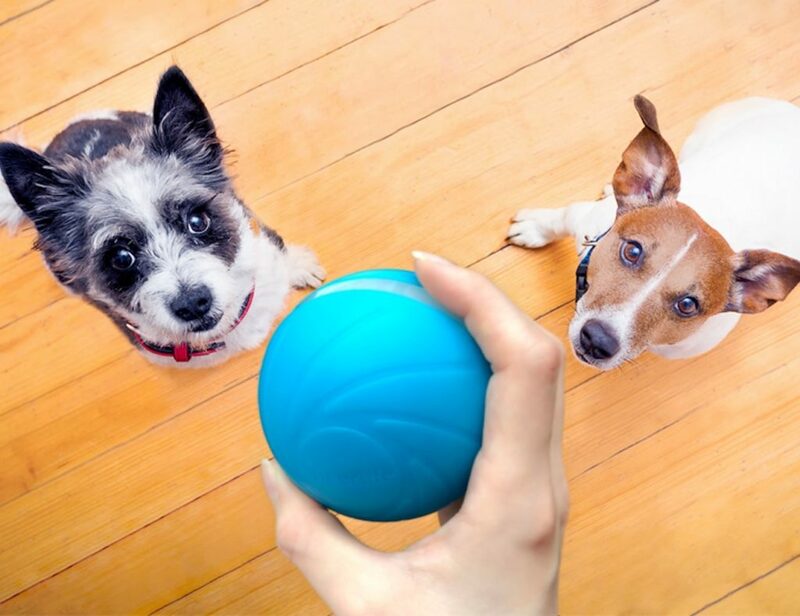 The tray is removable and has been specially made to keep the countertop clean. 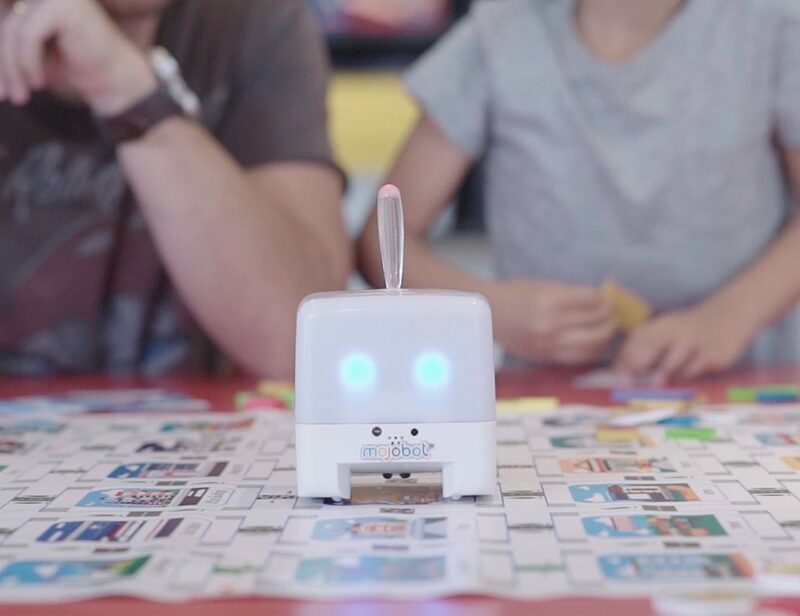 Your kitchen can now get rid of the cereal boxes once this dispenser makes its way indoors. 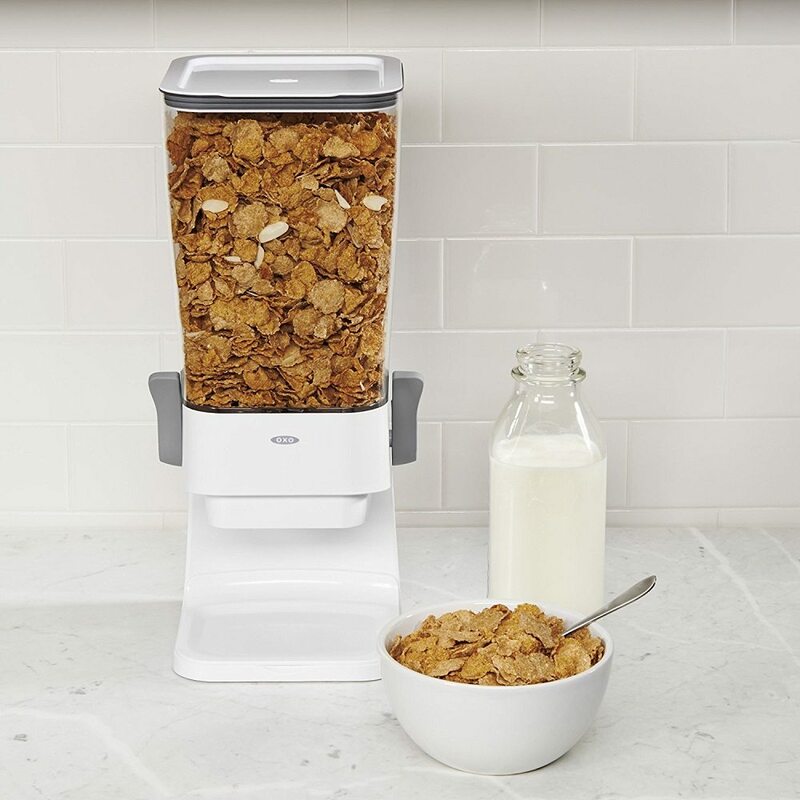 Easy way to have your breakfast cereals one dispenser away.